Which Is London's Cheapest Winter 2016 Ice Rink? 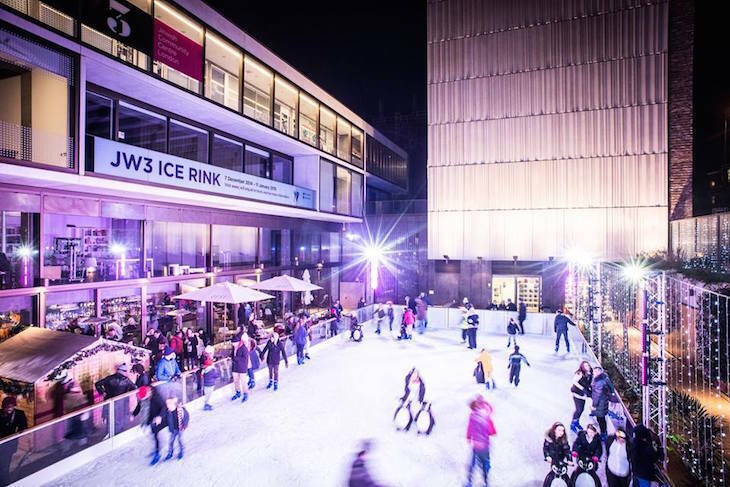 Laura Reynolds Which Is London's Cheapest Winter 2016 Ice Rink? London's seasonal ice rinks are opening for the winter, and while they look pretty, getting your skates on isn't exactly cheap — even less so if you've got a family to pay for. So we decided to pit the rinks against each other, working out which gives you best value for money, whether you're just paying for yourself, taking mates (or a date) or bringing your children along too. See our full round-up of Christmas 2016 ice rinks for further details on each one. Which is cheapest for adults? 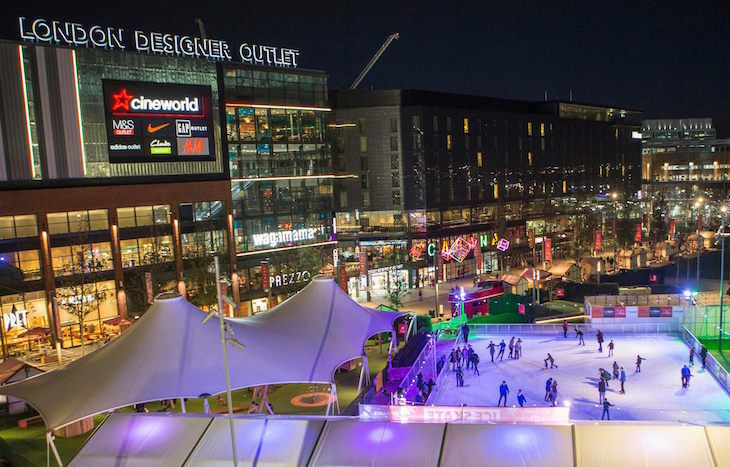 If you're able to go off-peak, the London Designer Outlet ice rink (open till 2 January) offers sessions for a very reasonable £5 per person. LDO classes off-peak as Monday-Thursday 11am-2pm until 8 December 2016. All other times are peak, which'll cost you £12.50 per adult. If you're restricted to peak times (generally evenings, weekends, and full time closer to Christmas), JW3 on Finchley Road is your friend — adults skate for £12, regardless of time of day. This rink has a shorter run than the others, open 3 December-8 January (including Christmas Day). Daytime skaters should head to London Designer Outlet. Which is cheapest for families? Again, if you can go off-peak, London Designer Outlet is your best bet. Adults and kids can skate for £5 each, meaning a family of four can go for £20 if you book them as individual tickets (oddly, family tickets — constituting two adults, two children aged under 15, or one adult, three children — at this rink are £35 whether you go peak or off-peak). Don't get caught out by that one. On-peak, JW3 Centre in North Finchley is again your best bet. A family ticket (two adults and two children OR one adult and three children) costs £32, whatever time of day or day of the week you go — that's significantly cheaper than the most expensive family ticket, which costs £46.50 at Canary Wharf ice rink, at all times. JW3 is a friend to the budget-conscious. Peak times vary from rink to rink, as do child age categories and concession rates. We've excluded booking fees from the prices above. Earlybird discounts are available at some rinks. We've excluded these from the above. Special ice rink events. (eg. club nights) may have different prices from the above. Some offer more complicated ticketing than just peak and off-peak. Where this is the case we’ve chosen the most expensive option for the peak column and the cheapest for the off-peak. Skate aids (penguins, polar bears, other friendly, plastic cold weather creatures) are £5 at all rinks, except Somerset House where they are free to children under 8 (or kids can sign up to Polar Bear Club at Somerset House for £8.50 instead).